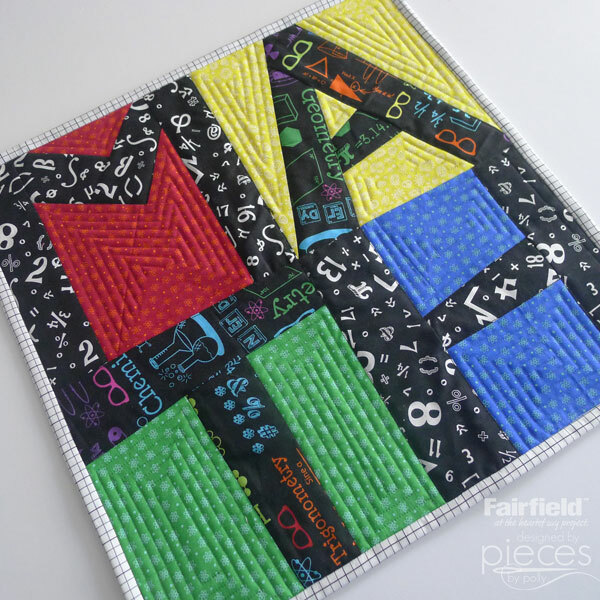 This Free MATH Paper Piecing Pattern makes a great Mini Quilt or Throw Pillow or could be added into a larger quilt. I tend to collect math and science themed fabrics, and this was a great way to show some of them off. With Pi-Day coming up soon, I really wanted to do some Math-Geek sewing. Many thanks to RJR Fabrics for providing me with a bundle of their Geekery Fabrics by Sue Marsh to play with. And thanks as always to Fairfield World for providing me with batting and compensating me for this post. This pattern was designed using EQ7. All opinions, ideas, patterns, and enthusiasm are 100% my own. This post contains affiliate links. Our oldest daughter has never really liked math despite being reasonably good at it. We pressured her a bit to join math team last year. (As in...you want us to drive you to volleyball games every weekend...then you'll do math team at lunch.) Thanks to her wonderful math teacher/coach last year, she signed up more willingly this year, and now thanks to two years with some excellent math teachers/coaches, she says math is her favorite class. It makes this math-loving-mama super happy. So when math team ended this year, we wanted to do something special for her teacher...so we whipped up a little math mini-quilt. It could also make for a great quilted pillow. We wanted it to be small enough she could display it in her classroom where she has another quilt hanging. 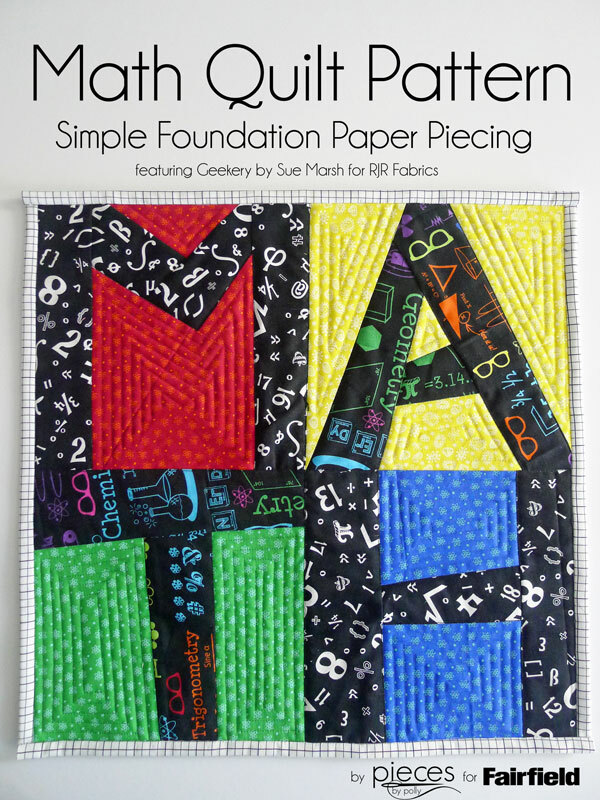 If you're just starting out with foundation paper piecing, this is a GREAT pattern for beginners...nice big pieces and not very many of them...and each block is a single pattern piece. I've got two sizes for you to choose from. I used the 9.5 inch blocks which just requires you to tape the paper pieces together to make the paper big enough. 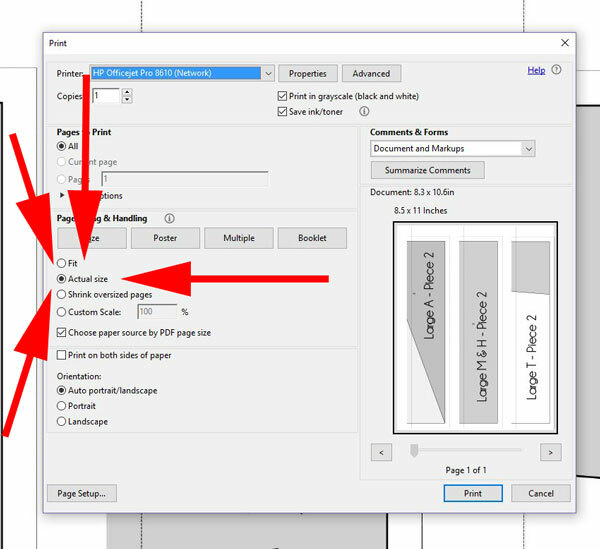 Or if you don't want to hassle with that, you can use the 7.5 blocks that print out on a single piece of paper. 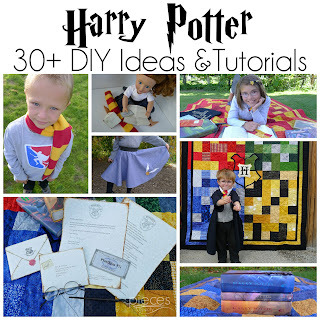 If you're not already familiar with paper-piecing there are lots of simple tutorials online to help with the process. I like this tutorial. 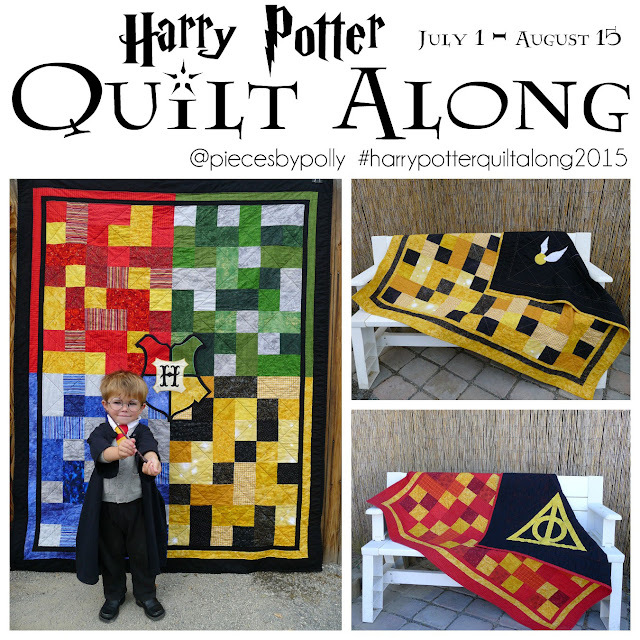 Fat Quarter Bundle of Geekery by Sue Marsh for RJR Fabrics. I used By the Numbers in Black, Scientifically Speaking in Black, Atoms in Red, Atoms in Green, Atoms in Blue, and Germ * Amoebas in Yellow for my blocks. 1/4 Yard Graph Paper in White for binding. 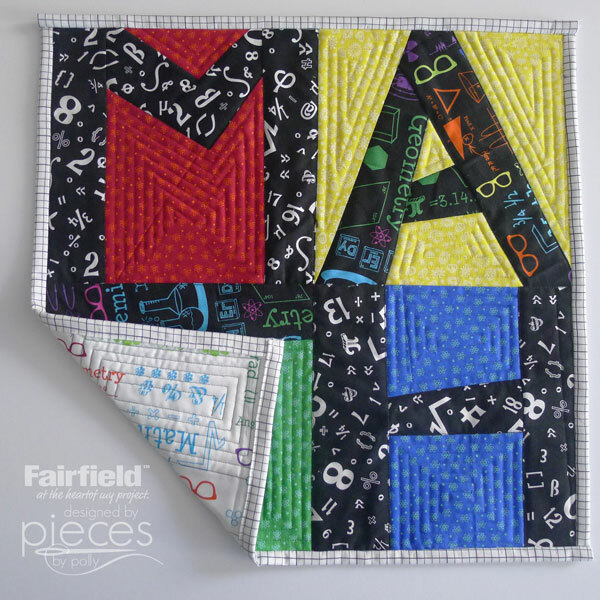 You can download the MATH QUILT Pattern Pieces here. Pattern pieces each have a 1/4 inch seam allowance. They're in PDF form. 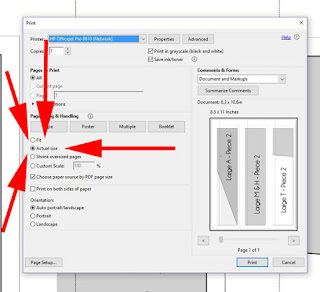 When you go to print them be sure that your printer is set to print them ACTUAL SIZE. Paper- Piecing Patterns are always mirror-imaged...so when you print them, they will looked "flipped" from how the block appear in my quilt. To round out the gift we also slipped in our favorite Math Book. 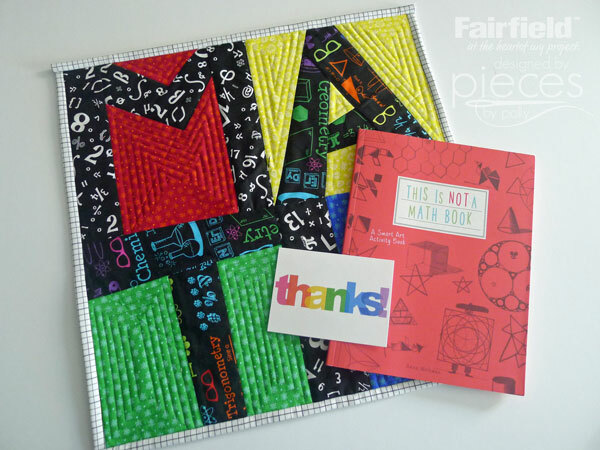 Despite the title, This is NOT a Math Book really IS a math book, but it's also a really neat art book that shows connections between art and math and doodling and has some fun activities.